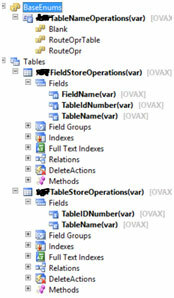 Recently I have got a requirement of having a possibility to update several values for selected Operation in AX 2012. 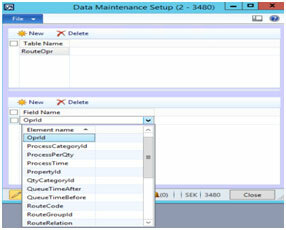 This is not an inbuilt feature of AX 2012 but this was a client requirement for providing the possibility to update several values for selected Operation according to given parameter settings. In my requirement, it was required to create two forms which include a setup form known as Data Maintenance Setup Form where we can specify the tables and fields of selected table to be updated. This form is basically a Parameter settings form to control what can be updated. The form should look like this. As you can see we have two sections of form .In first section you can choose the name of Table which you want to update and in second section you will have all the fields of above selected table which is required to be updated with new value on the basis of some criteria. 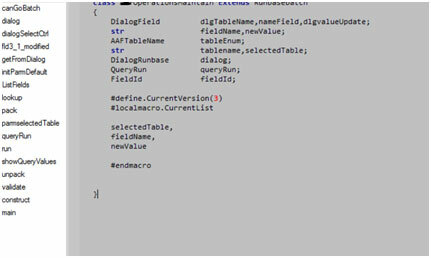 This is how we can update the field of any table with new value on certain condition using this code. Hope you all have understood the concept. Feel free to ask any questions related on Microsoft dynamics AX development please contact us. Read More : How Workspace Defined in Dynamics 365 for Finance & Operations?